Influenza (the flu), is an acute respiratory illness that is caused by a virus. 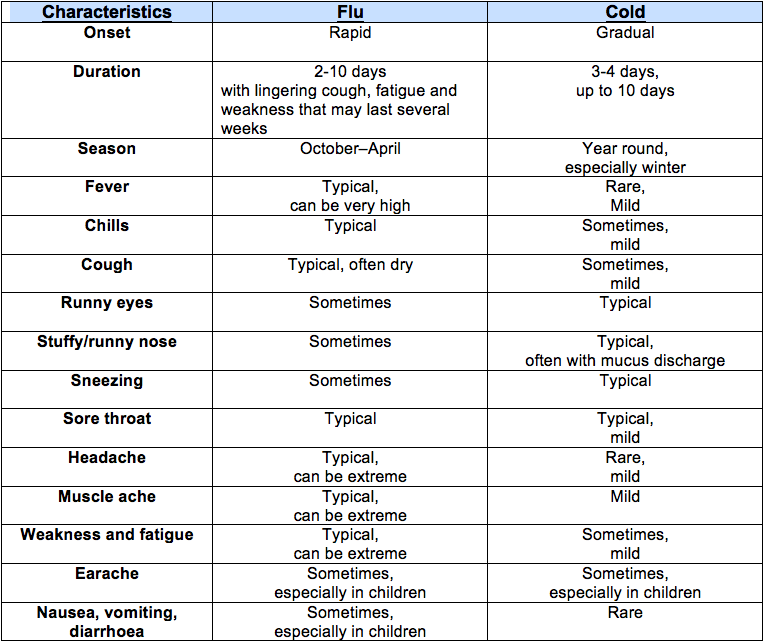 Influenza if often accompanied by fever, chills and occasionally digestive disturbances. A cold is an acute inflammatory contagious disease involving the upper respiratory tract. About 1/2 of the time colds are the result of a class of viruses called rhinoviruses. A vaccine is a preparation of disease causing microorganisms that is administered with the intent of stimulating and prepare the body's immune system to recognize and destroy the disease causing microorganisms. Influenzinum is a homeopathic preparation of the seasonal flu viruses that safely stimulates and strengthens your immune system so that your natural defense mechanisms are prepared for and able to fend off the seasonal flu virus. For information specifically regarding homeopathic flu prevention see my Homeopathic Flu Prevention page. Distinguishing the flu from the common cold can be difficult because both illnesses share many common symptoms. Cold symptoms tend to be mild and short-lived. A person may recover in days, without medication. Flu symptoms are severe and can last up to two weeks or longer, and often require medical attention. Similar to the common cold, the symptoms of the flu begin with a sore throat, cough and runny nose. Unlike the common cold influenza can produce high fever, aches, chills, severe exhaustion, and headaches. If a flu progresses it can become quite severe and rapidly deteriorate into bronchitis or pneumonia. Seek medical help if you are following the advice in Cold & Flu Season- Treatment and getting worse. In addition to washing your hands many times through out the day (i.e. when you get home, when you get to work, before you eat, etc.) follow the advice provided in Cold & Flu Season - Prevention. Consider homeopathic flu prevention - Influenzinum. Most of us will be exposed to the influenza virus during the flu season. In a perfect world we are all taking care of ourselves and our immune system are functioning well so we won't get sick…in a perfect world. Barring perfection or living in a bubble from October to April, Influenzinum is an effective and safe flu-prevention strategy. For more information take a look at Homeopathic Flu Prevention. What do I do for a cold? Follow the advice provided in Cold & Flu Season - Treatment and if all goes well you should be better in 1-2 days. What do I do for the flu? The sooner you get homeopathic support after flu symptoms start the better. Many patients in the initial stages of the flu fully recover within a few hours of homeopathic treatment. If a full-blown flu has set in, homeopathy can lessen the duration and intensity of your symptoms and speed your recovery period. Contact me at the first sign of the flu and I can get you and your family better faster. Please remember that antibiotics do not work against colds and flus—they are viral infections and antibiotics are only effective against bacterial infections. Important note: In 2008 Health Canada issued an advisories to NEVER give over-the-counter cough and cold medications to children UNDER 6 years old.